A wooden elephant trophy in an original setting. These frames are made of medium wood. 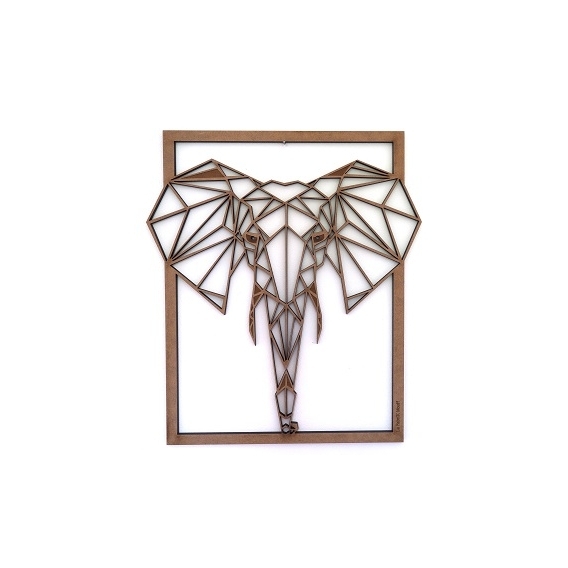 The size of this wooden wall decor is 42.4 x 48.5 cm. Worldwide shipping for this wood decoration. 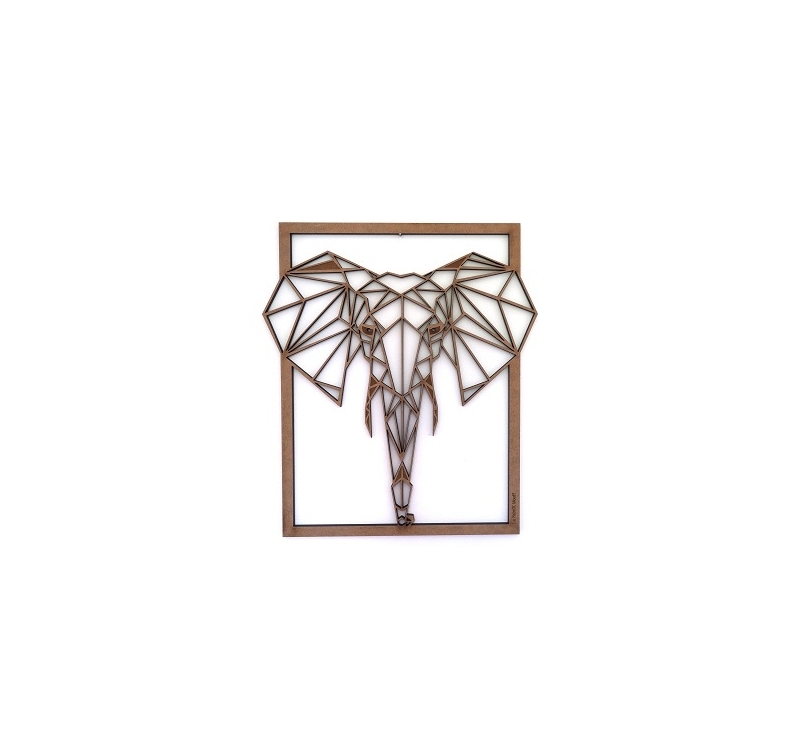 The largest and most powerful land animal has always been the perfect subject for a stylish wall decoration. Artwall and Co has revised the concept for an unusual geometric representation made of wood. 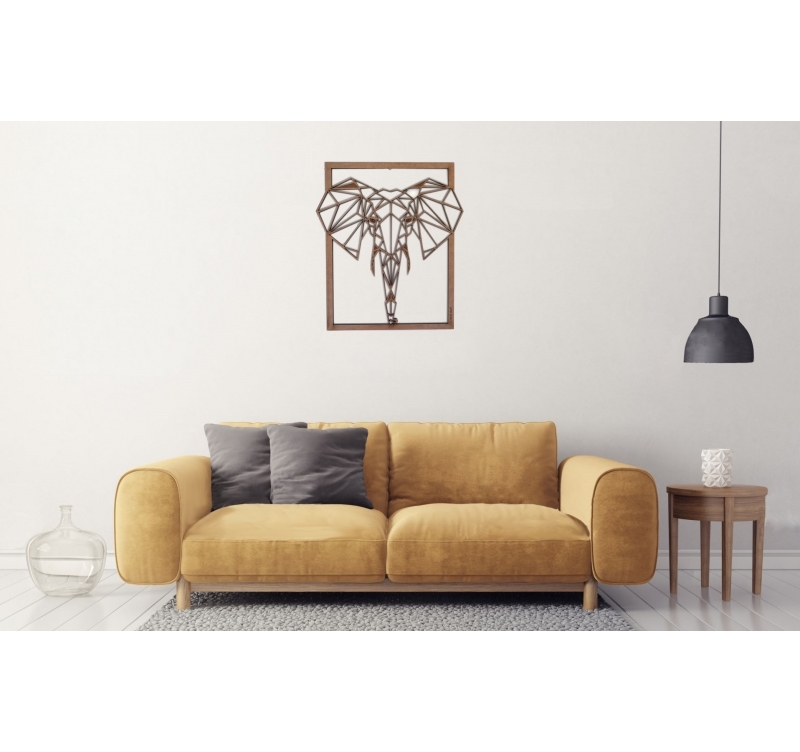 The big ears, the pendulous trunk and the majestic defenses, it is clear that the elephant of this wall decoration has all the assets to adorn a modern interior. His ears go beyond the frame, as to take a look in your interior layout but also to give originality to your space. This frame is made of medium wood by our artists and is available in natural and black color. It is possible that traces of heating are present on the back of the decoration because of the cut.